The 28 stall barn and huge arenas sets this home apart! Visit horseproperties.net for more information on this property. Did you ever picture what your dream horse property looked like when you were younger? Well, mine looked a lot like this! 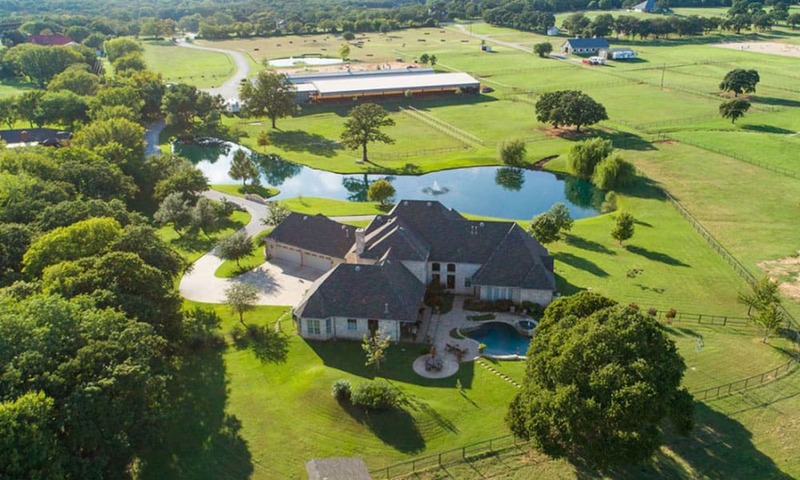 Complete with a gorgeous country french custom home, a beautiful pool area, a 28 stall barn, a spacious covered arena, an outdoor arena, and multiple attached apartments, this property is a Texas-sized dream for any cowgirl.